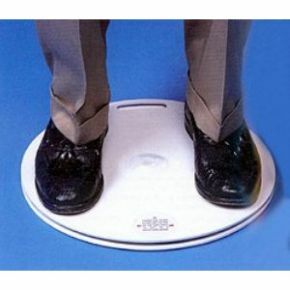 Medidisc - A Small lightweight Stand-On Turntable. A small, lightweight stand-on Medidisc turntable made from ABS plastic. the twin ball race movement gives 100% performance at all times. The flexible rim allows carer to control turning action, giving an effortless transfer. The device reduces risk of injury to both carer and patient. Non slip studs are on underside.